In a competitive market place, brand awareness is key! With all the promotional techniques out there, it can be hard to know which is best. Why not try a multi-pronged approach with A Corporate Affair Design’s range of promotional products for Dulwich Hill? We’ve worked with household names like Kmart, Liquorland, Blackwoods, Coles – to name just a few! – so you know we mean business! We’ve built our reputation on the back of affordable products made on time and according to budget. As a local producer, we can have your products ready and delivered to you in no time at all. You can promote your brand all sort of ways, using techniques you wouldn’t expect – it doesn’t always have to be expensive advertising and online content. 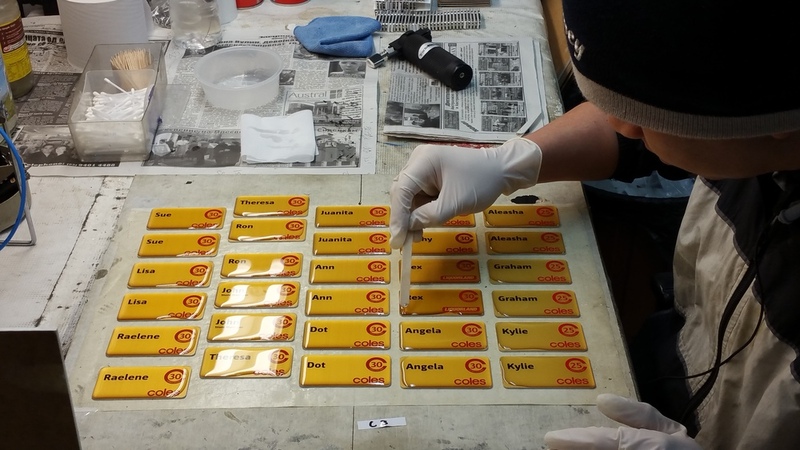 Our product range includes Belt Buckles, Custom Name Badges, Lapel Pins, and Key Rings. These can be great tools, whether in store or out on the street, to promote brand recognition. Let us help you become the next household name! If you’re not confident of design ideas, that’s not a problem. Our staff include a talented team of graphic designers, able to assist you to realise your vision for your brand!